A deluxe edition nativity playset which is a lovely way to teach young children the story of Christmas, which can be treasured for years to come. 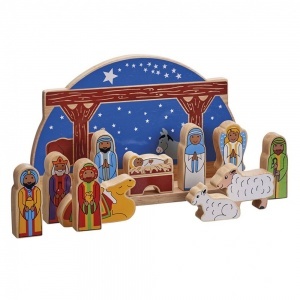 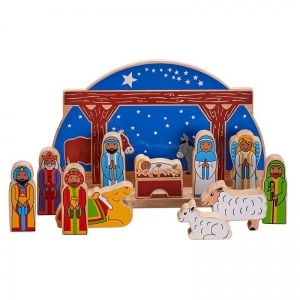 The set consists of eleven animals and characters and comes with a stable backdrop, and manger and includes the baby Jesus, Mary, Joseph, the 3 Kings, a camel, sheep and lamb. 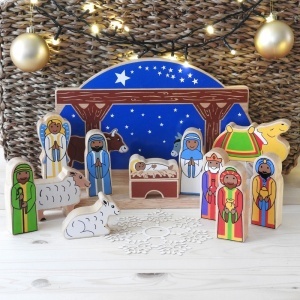 Each handmade chunky piece, has a colourful design and is made from eco-friendly rubberwood in Fair Trade workshops. 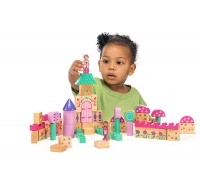 Designed in the UK and handmade in Sri Lanka by the Lanka Kade workshops. 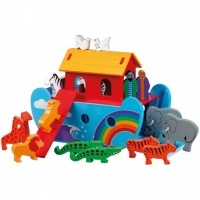 Encourages dexterity, problem-solving, imaginative play, hand-eye coordination, and shape recognition as well as inspiring creativity.